The trial is led in Paris – and now actively enrolling in Pittsburgh – by José Alain Sahel, MD, director of the UPMC Eye Center and Eye and Ear Foundation chair of ophthalmology at the University of Pittsburgh School of Medicine. Dr. Sahel also is the director of the Institut de la Vision in Paris and is an affiliated faculty member of the McGowan Institute for Regenerative Medicine. “We are pleased with the results from the PRIMA trial showing the chip can be safely implanted in patients without affecting their existing vision. Furthermore, patients experienced positive improvements in their ability to correctly detect visual patterns, and we expect these improvements to continue as they progress in their rehabilitation program,” said Dr. Sahel. AMD is the leading cause of vision loss in people older than 50 and affects approximately 14 million people in the United States. The aging baby boomer population is expected to lead to a significant increase in the prevalence of AMD, which is characterized by a progressive loss of vision, and an increasingly larger blurred area near the center of vision. “Dry” AMD, which accounts for 80 to 90 percent of cases, has no curative treatment available. The current clinical trial, led by Dr. Sahel in Paris, France, is evaluating the safety and feasibility of the PRIMA bionic vision system, developed by Paris-based Pixium Vision in partnership with Stanford University and the Institut de la Vision in Paris. The PRIMA system consists of a miniature wireless photovoltaic chip implanted beneath the retina of patients with advanced atrophic dry AMD, along with special augmented reality glasses worn by the patient that contain a miniature camera and projector. The chip acts like a tiny solar panel, made up of hundreds of tiny electrodes that convert infrared light signals from the projector to electrical signals that are carried by the optic nerve to the brain. After receiving the implant, patients undergo an intensive rehabilitation program that trains their brains to understand and interpret the signals from the implant. Five patients were enrolled between December 2017 and June 2018 in Paris, each with significant vision loss in one eye and remaining useful vision in the other. The PRIMA implants were placed through a minimally invasive procedure. The implant remained stable under the retina and patients did not experience any peripheral vision loss as a result of the procedure. During the rehabilitation program, most patients have correctly identified various visual patterns, including bars, letters and numbers. The patients continue to be followed, and six-month progress results are expected by the end of the year. The clinical trials in Paris and Pittsburgh are sponsored by Pixium Vision, based in Paris. The PRIMA implant was invented by Daniel Palanker, PhD, professor of ophthalmology at Stanford University, and licensed and developed by Pixium. 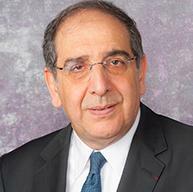 Dr. Sahel is a co-founder of Pixium Vision.